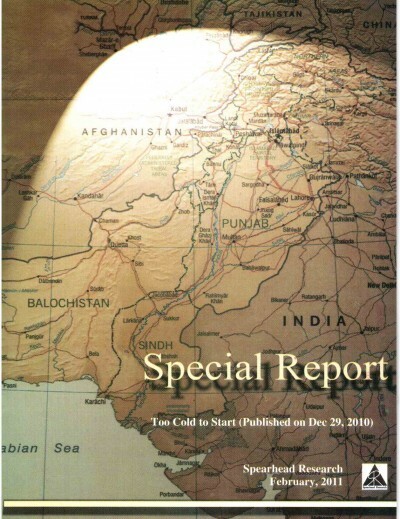 You are here: Home › Security › Can Pakistan facilitate Afghan peace? Can Pakistan facilitate Afghan peace? Afghanistan remains in a state of turmoil. Its instability is a regional issue, with Pakistan bearing the major brunt. Caught between several regional and extra-regional players seeking to extend their influence in Afghanistan, Pakistan could bring these parties to the negotiating table and pave the way for a positive regional environment. It is in Pakistan’s interest to seek a friendly government in Kabul. The current regime lacks as much legitimacy as the Soviet-installed regime did during the Cold War. While Afghanistan is steeped in internal discord and militancy, Kabul is unable to control or exercise power over its territory. This instability has spilled over into Pakistan and distracts Pakistan from addressing its own internal challenges. Pakistan is facing pressure on both its eastern and western borders. From the west, Pakistan feels the heat of the Afghan war as same Pashtun tribes live on either side of the border and millions have moved in to live in Pakistan. Pashtuns have historically lived lives unrelated to the line on the map and move freely across the rugged border. But Pakistan’s large Pashtun community feels unfairly discriminated against by Pakistan’s harsh counter-terrorism policies, stirring fears of domestic instability in Pakistan’s tribal areas. From the east, Pakistan faces tensions with India. Pakistan has always taken the Indian presence in Afghanistan as a direct threat to Pakistani national security. The US proposal to extricate itself from the Afghan war and leave India in the lead role is not acceptable to Pakistan. Facing the insecurity of tensions with India on its eastern border, Pakistan cannot afford uncertainty in the west. But tensions with the United States challenge Pakistan’s ability to facilitate Afghan stability. During the Soviet–Afghan War from 1979–89, the United States encouraged the hosting of the Afghan resistance (the Taliban) in Pakistan. Now that the Taliban is resisting the United States, Pakistan is unfairly blamed for hosting them. Pakistan has no control or influence over the Taliban. At best, Pakistan can attempt to persuade the Taliban to come to the negotiating table. Pakistan’s support within tribal Afghanistan rests largely with the majority Pashtuns. Another tribal grouping called Northern Alliance draws support from India and United States. If Pakistan pushes the Taliban to enter into negotiations on the Trump administration’s terms, it risks consolidating the anti-Pakistan forces and undermining Pakistan’s own security. Yet Pakistan’s inability to oblige the United States by bringing the Taliban to the negotiating table keeps Pakistan under US pressure. Such is Pakistan’s dilemma. Pakistan has supported every possible opportunity to initiate talks between the Taliban, the Kabul regime and the United States. Pakistan persuaded the Taliban to join the abortive talks in Murree in 2015, which also included China. The United States later killed then Taliban leader Mullah Mansour in a drone attack and scuttled chances of further talks. Pakistan also wholeheartedly supported Afghan President Ashraf Ghani’s Eid ceasefire and offer to start talks with the Taliban in June 2018. Yet true to their original position, the Taliban refuse to talk to the US-installed Kabul regime. It may be time for Pakistan to reach out to other regional actors — China and Russia. While the United States is interested in securing peace through a military victory, China would like to draw the Afghans into a peace partnership through economic commitment. China is now Afghanistan’s third biggest trading partner and hopes that Afghanistan will become a partner in the Belt and Road Initiative (BRI). The success of China’s ambitious plans for regional connectivity through the BRI is partly conditional upon sustained stability in Afghanistan — its location makes it an important link to reach South and Central Asia. Cognisant of this, China has engaged with the Kabul regime and the Taliban without ideological biases. China is also influenced by the need to contain spillovers of the Afghan war into its western Xinjiang region. Beijing realises that bringing economic benefits to the general populace in Afghanistan reduces their chances of falling into militancy. In partnership with Pakistan and Russia, China would like the US presence in Afghanistan to end. China also does not want to leave a vacuum for India to take the United States’ place in Afghanistan. So China stands behind Pakistan in its desire not to cede space to India or other non-regional players, suggesting that the two could be promising partners in the facilitation of Afghan peace. Russia’s renewed interest in Afghanistan and engagement with the Taliban coincides with Russia’s greater efforts to defend its interests in Europe, Asia and elsewhere in the Middle East in recent years. After waiting on the sidelines for US forces to eliminate militancy in Afghanistan, Russia is now convinced that the United States wants to stay there to continue projecting its power into Russia’s sphere of influence. Russia may not be as effective a partner for Pakistan as China though. Russia’s attempts to play a bigger role in bringing different parties to the negotiating table in Afghanistan are being thwarted by the United States and the Kabul regime’s boycott of Russian initiatives. An unstable Afghanistan has damaged Pakistan economically and structurally, and has left its society militarised and radicalised. China, India, Russia and the United States all have interests in Afghanistan, and Pakistan could pave the way to regional stability by bringing these actors to the negotiating table with Kabul and the Taliban. It’s a big ask — but Afghan peace depends on the positive regional environment that such cooperation would facilitate. Sajjad Ashraf served as adjunct professor at the Lee Kuan Yew School of Public Policy, National University of Singapore from 2009 to 2017. He was a member of Pakistan Foreign Service from 1973 to 2008.